With a new year often comes the resolution to be well. Do good work. Keep in touch. Sound familiar? That’s the famous outro to the daily “Writer’s Almanac,” hosted by legendary writer and radio host Garrison Keillor. He visited Alaska last year on a cruise and made a pit stop in Sitka to visit a pen pal. Because it turns out, when it comes to resolutions, Keillor is good on his word. KCAW’s Emily Kwong has more. Woods grew up with that voice. And she met him in 2013, briefly in her hometown, and then last summer in Palmer. Woods was working as a park ranger in Denali and at the end of his performance, gave him a note. She wrote him and he wrote back and pretty soon, they were exchanging letters and emails, every week. 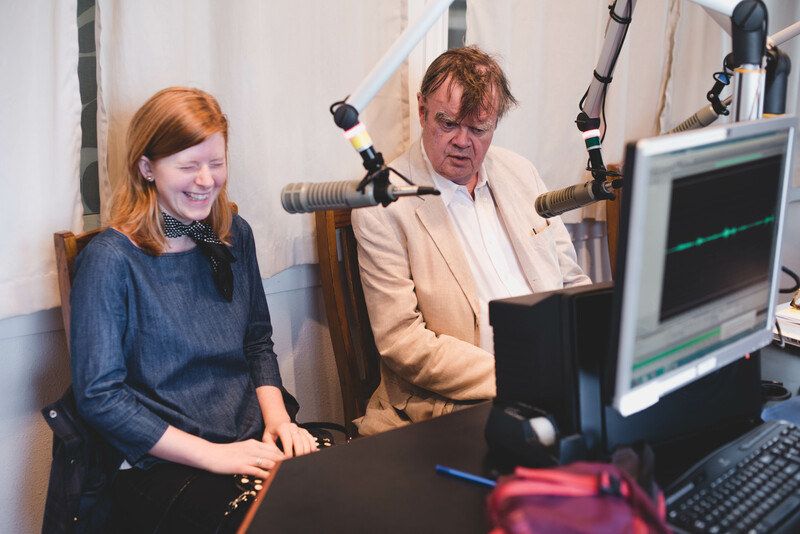 In August, the Prairie Home Companion was taking it’s annual cruise through Alaska and on a bright, bluebird day, word got around that Garrison Keillor was coming to Sitka. Sitkans were feeding me questions all day. Can you ask what his favorite joke is? What’s his favorite cocktail? Berett Wilber was working as a deckhand this summer and would often be standing in the pit, hauling fish, when the Writer’s Almanac came on. WILBER: That’s how I mark the time.So I want to know, when he does that, does he imagine people like me when he’s doing that? KEILLOR: I will now! From now, on for sure. I’m going to imagine a woman half covered with slime and blood and carcasses of fish. Though Keillor has handed over the reins of Prairie Home Companion to Chris Thile, the Writer’s Almanac – a five minute digestive of poetry and history – continues. And most often, Keillor says, he’s writing for someone who is very busy. 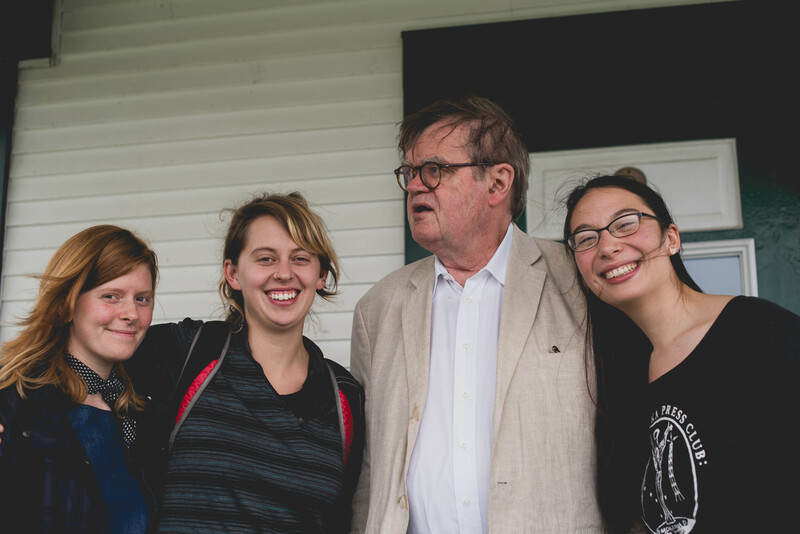 Keillor said he wants to go to places like Alaska because he’s seeking grandeur. And he wants he vividly remembers performing at the Alaska State Fair in Palmer last year. 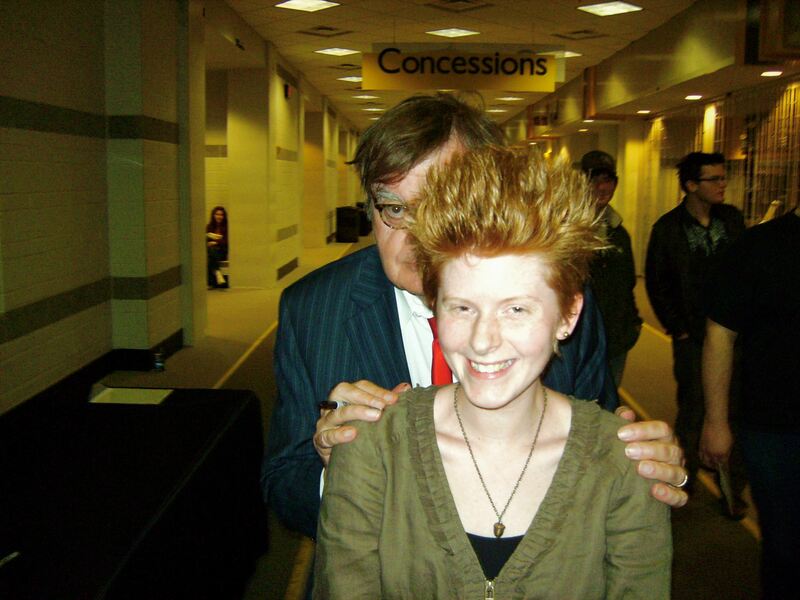 Keillor is working on his memoir. He’s turning 75 this year. When you remove the celebrity of Garrison Keillor from the simple act of keeping in touch. Knowing that words are points of contact – a way to reach out and say, “Hey you, you’re going to be okay.” A few days later, Woods and I talk and she says this is person she’s come to know. “When he’s done autographs, I’ve never seen him turn anyone away,” Woods said. “He will always talk to the oldest to the youngest person and he wants to hear their stores. I think he just admires people for being who they are. Which is fitting, in a way, for a man whose voice alone causes you to slow down, pull up a chair, and stay awhile.